Voodoo Tactical Molle Holster With Mag Pouch | BUDK.com - Knives & Swords At The Lowest Prices! Voodoo Tactical’s MOLLE compatible holster allows you to securely carry a medium or large frame semi-automatic pistol on your MOLLE assault vest, plate carrier, drop leg platform or other gear with PALS webbing. It is available in right or left-hand versions and can be set up cross draw or strong side. 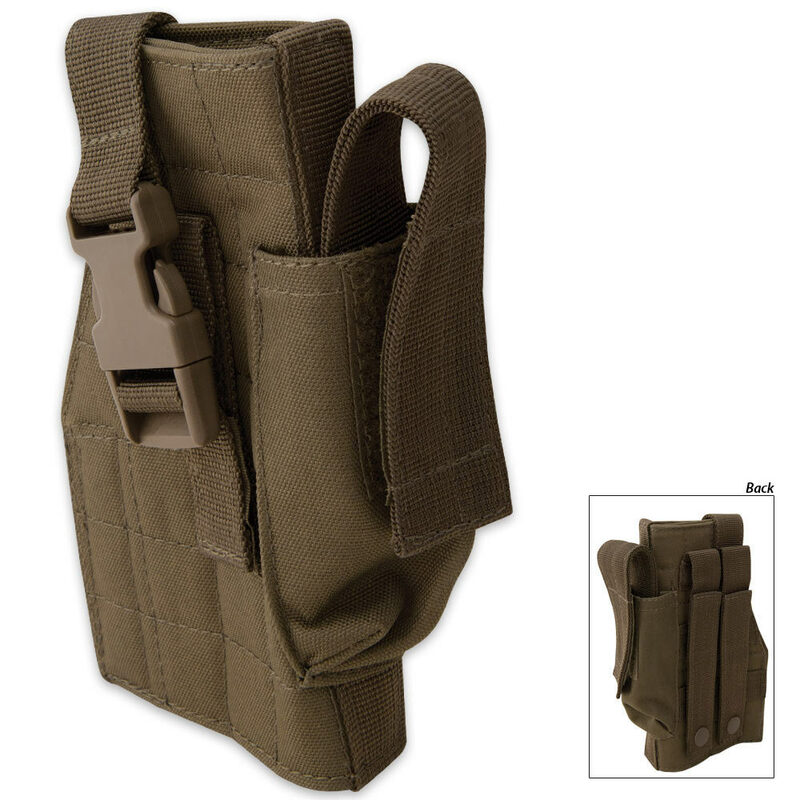 The holster includes a retention strap and additional mag pouch that will hold most single and double-stack magazines. Please note that the retention strap is designed to hold the pistol in place during strenuous activity and is not a thumb-break style quick draw holster.